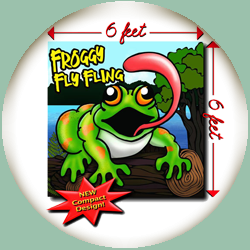 Froggy Fly Fling brings a Carnival style game to your event. Place an insect on the catapult and launch it into the Frog’s mouth. Play for fun or have competition’s. No power required. Insects, catapult, and mallet provided. This game is fun for kids of all ages!